DeMontrond® 14101 North Freeway • Houston, TX 77090 Parts Online Specials We feel an obligation to make a great first impression with our customers and strives to stand out from the competition! We have a dedicated ONLINE team waiting to hear from you! 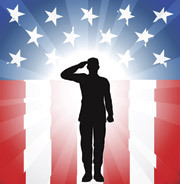 Special Military Rebate Additional 10% off any parts purchase We appreciate your dedication and Service to Defending us all. As a way of saying thank you for all you do, receive an additional 10% off your Parts Purchase with your Valid Military ID. Coupon must be presented at time of write up. Valid for over the counter purchases only. Not for use with any other coupon or promotion. 10% Off Parts for Seniors You are a distinguished member of our Community. We invite you to use this Special Parts Discount Coupon as a gesture of Thanks from the Community and DeMontrond® Houston. Must be 55 years of age or older. Valid ID required. Houston only. Not valid with other coupons or advertised specials. Discount taken from regular posted price. Not valid with any other coupons, services, or specials.